Pleats are back, don't get bent out of shape about it. 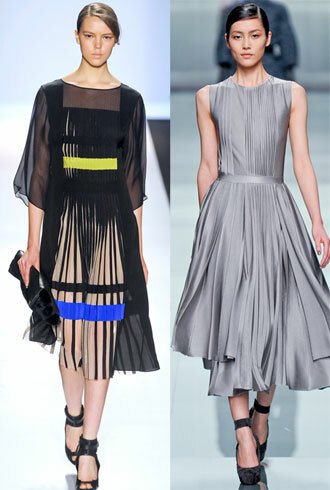 The soft, romantic accordion pleats that first made an appearance on the Spring 2012 runways are making a return appearance for Fall. Origami-inspired pleats, folds, and 3-D structure are trending on the red carpet with Chrissy Teigen in Georges Chakra, Emma Stone in Martin Grant, Tilda Swinton in Haider Ackermann, and more. 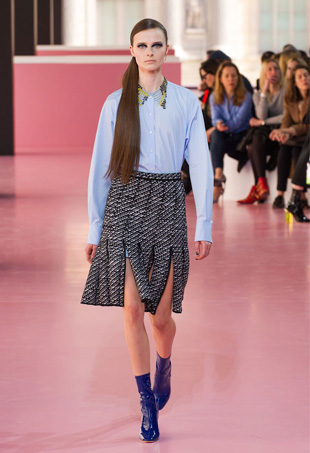 The pleated skirt was a staple on the Spring 2011 runways. Get the look with these 7 pieces.